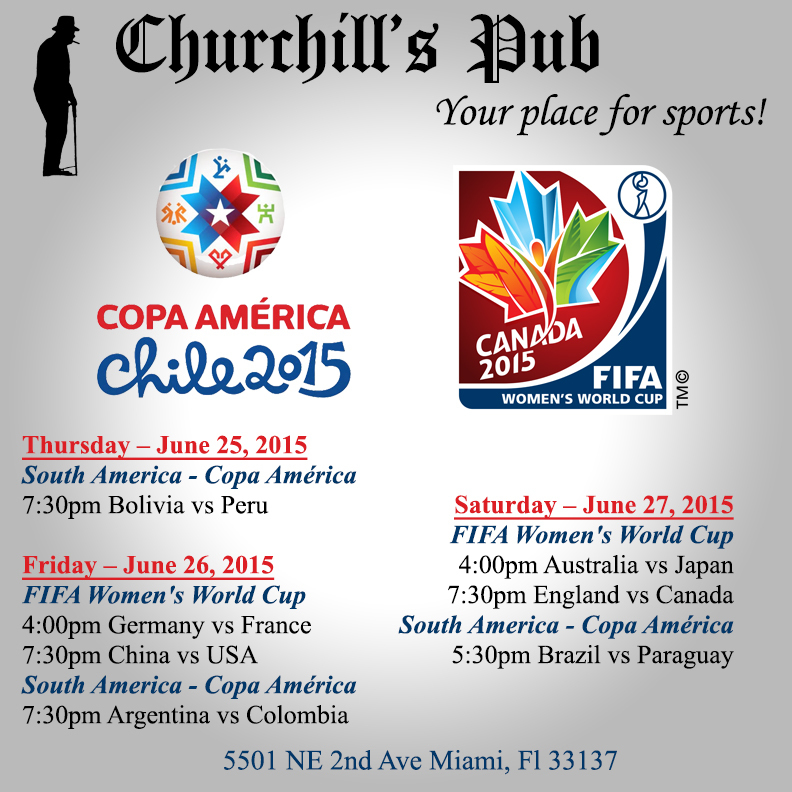 Churchill's Pub is your place for sports! Catch all the Copa America & FIFA Women's World Cup games this weekend live on our big screens! Happy hour daily until 8pm! Food served up fresh by TheRollingStove!